Bubblr - Dummy in Trouble, is a new , free Android Game from Heavily Loaded Games. Bubblr is a 2D arcade action game that challenges players reaction skills as they guide Dummy through a series of perilous, monster-filled levels. Dummy isn't helpless, however, as he's equipped with a soap bubble cannon that can be used to capture and disable monsters. 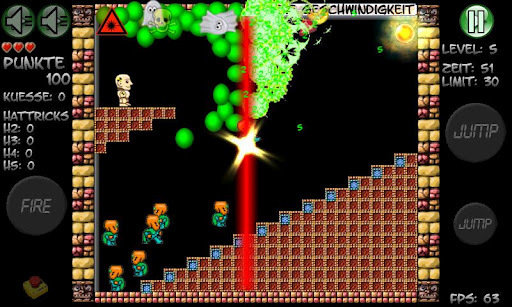 As the game progersses, Dummy is able to utilize the weapons of the attackers and even shoot fireballs or fire cannons. By successfully neutralizing monsters, Dummy can pick up collectable items and earn points. 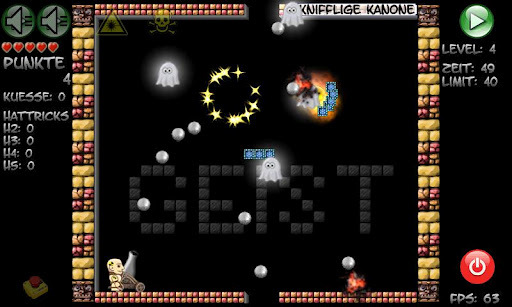 Extra items can be earned by neutralizing multiple monsters with a single jump, or on a very short distance. By using these tricks, players can more quickly climb the global leaderboards (powered by Swarm) and reach the number one spot. It sounds like a great time to us, and we bet you'll enjoy it too! So what are you doing still reading this post? Go to Google Play and download Bubblr - Dummy in Trouble and get your bubbles on!